We’d like to send a quick thank you out to everyone that made it to last nights Children’s Teaching Kitchen Information Meeting! We appreciate that you braved the slush and snow to view our great project. We were very excited to see the plans for the kitchen and have everyone’s support and imput. Councillor Doucette (Councillor for Ward 13) was also kind enough to join us and say a few words about the Children’s Teaching Kitchen. 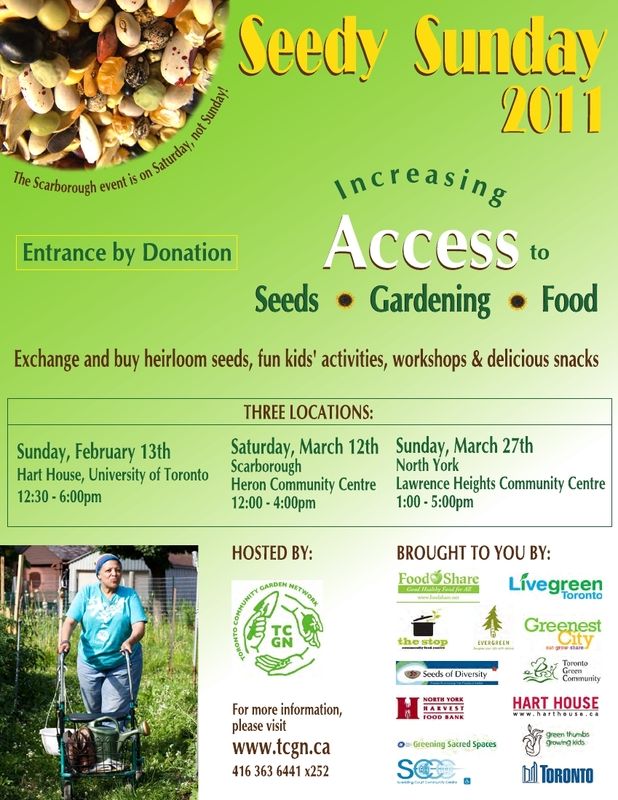 Next up for The Children’s Garden and Exploring Toronto Programs is Seedy Sunday! We’ll be in charge of the Children’s activities. More information can be found on the TCGN Website.